Vytrus Biotech is a pioneer company in Spain, specialized in the development, production and commercialization of high added value active ingredients from the technology of plant cell cultures, for healthcare and dermocosmetics. Vytrus Biotech was born in June 2009 as a spin-off company of the Faculty of Pharmacy of the Universitat de Barcelona, from a research group with more than 40 years of experience in the technology of plant cell cultures. 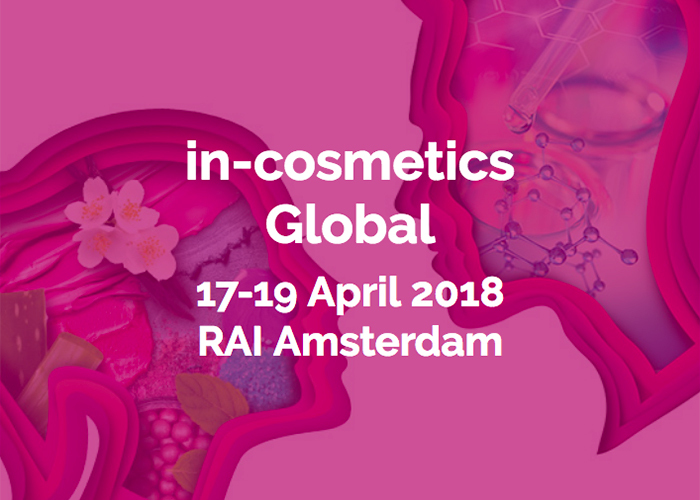 On 2011 the company launched its first cosmetic ingredient, and in 2013, the first medical device, based in the plant cell cultures technology, and pioneer in the Spanish market. 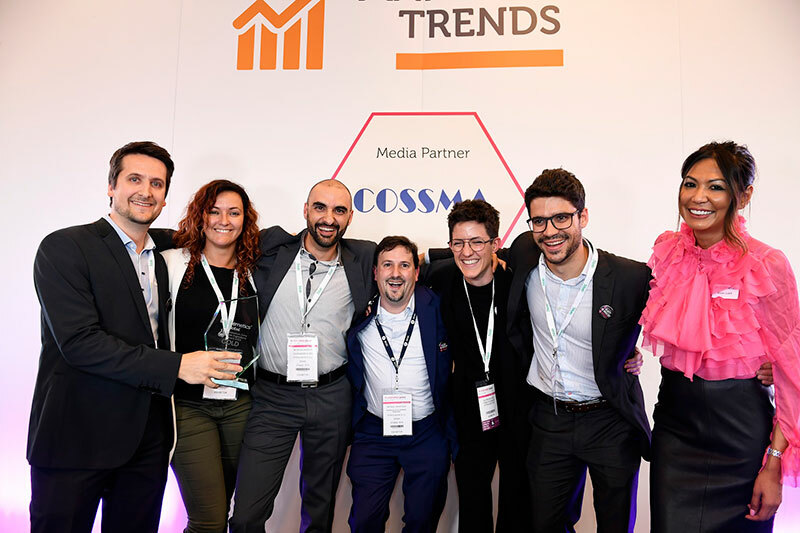 During 2014 Vytrus started its expansion and worldwide internationalisation, and nowadays has distribution in more than 50 countries, 14 products on the market (8 own products plus 6 for third parties), and 4 patents. The know-how and expertise of VYTRUS BIOTECH, turns them into specialists in the development of plant stem cells for the subsequent acquirement of whole plant extracts (with the entire cellular content), not wasting any fraction of active compounds as occurs with traditional plant extract processes. 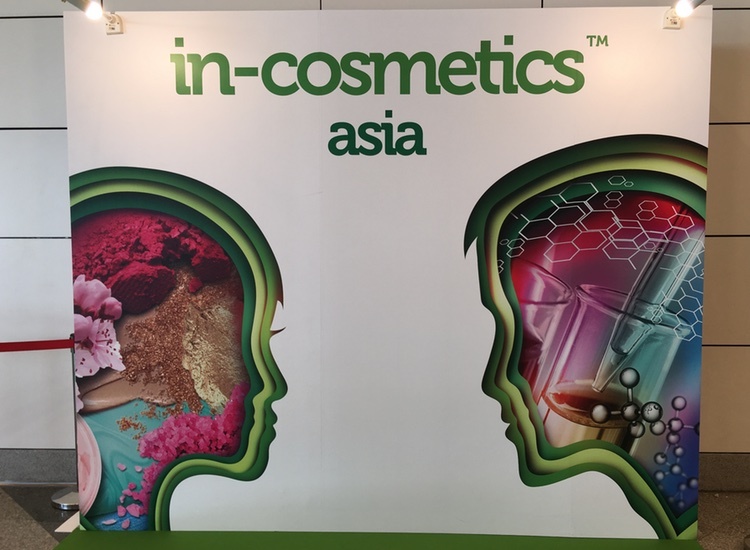 The company obtains, in every single one of its developments, the advantages of molecular synergy, since plant stem cells contain a large quantity of proactive essential substances that perform in a synergic way along with the derma-cosmetic active principles of interest, contributing to improved effectiveness of the product. 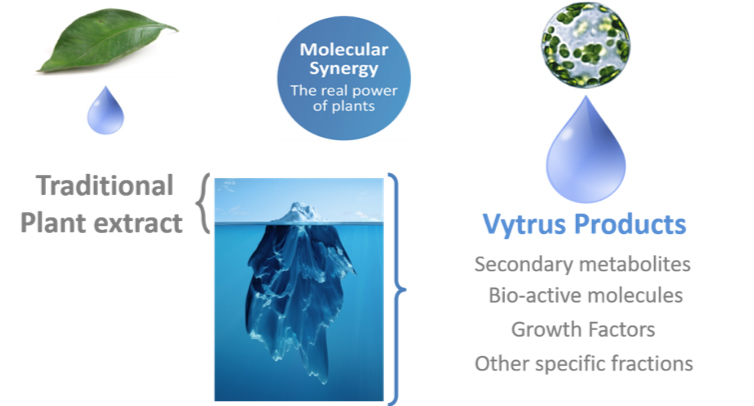 Vytrus Biotech offers an innovative proposal: nature and technology in one product. 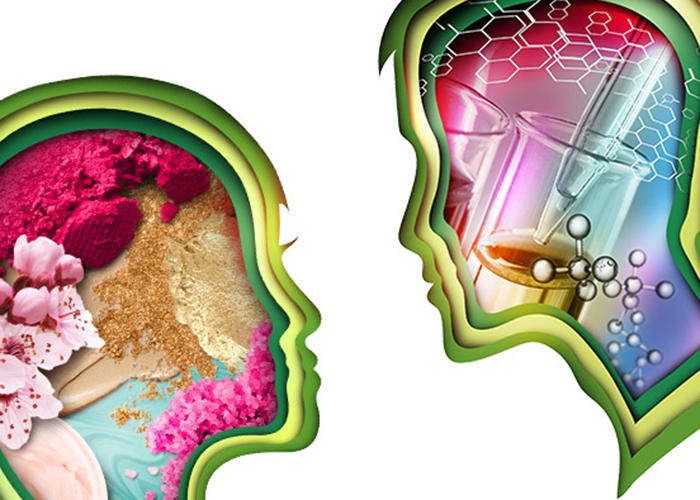 Cosmetic and dermatological needs are translated into active ingredients of plant origin. At Vytrus Biotech we use the large biochemical potential of plants and the massive work carried out by them during millions of years of evolution to obtain new bioactive molecules. Using the plant cell, basic unit of the plant, as a cellular factory, we produce the plant actives of interest. Through our technology, we culture plant cells and direct their metabolism towards the production of the valued bioactive substances used in the cosmetics and pharmaceutical sectors. At Vytrus Biotech, we don't look for actives first, but think on how nature works and from the biology of plants, we develop the products. Ours are products thought from nature. 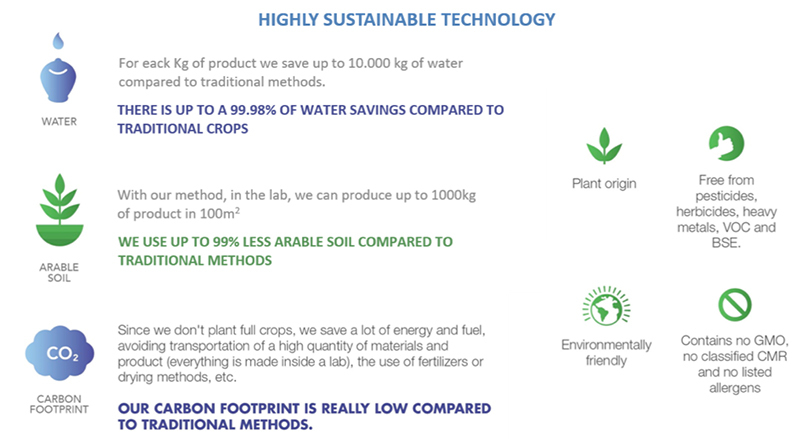 We look for natural plant processes and strategies and use them to develop ingredients, and that's what makes us innovative: We ask what plants do, and we mimic that. Plants have a constant pool of Totipotent cells (known as Plant Stem Cells). These cells can repair any damaged tissue, and a complete and functional plant can be regenerated from a single totipotent cell maintained under the appropriate conditions. Totipotent cells are an excellent and innovative source of active compounds for skin and hair care. This exceptional regeneration potential of Totipotent cells is the base of Vytrus products. Through a designed process of cellular reprogramming (de-differentiation), Plant Stem Cells can be obtained from accurately selected plant tissues (explants). Plant Stem Cells cultures require very advanced technology to be grown and it must be performed entirely under sterile conditions. This process is very specific and, for each plant species, with appropriate conditions to obtain the phat have to be applied in every step. Both callus and liquid cell cultures are maintained under strict and controlled conditions, in order to achieve the totipotent plant cell line establishment. This ensures an endless source of high quality plant material. First, the plant is cultured in vitro. Optimisation of the agar culture medium is required for each plant. Once a sufficient cell density is achieved, totipotent cells are cultured in a selective growth medium to obtain the callus. Optimisation of the agar culture medium is required for each plant. These 4 steps are always the same, and the base of all our current products. From this point, the next steps to obtain the ingredients varies, depending on the category and type of desired product. Plants don't work with just one highly concentrate molecule or with pure ones, they need the synergistic performance of a complex mixture of compounds. Plants have developed sophisticated cocktails of molecules (phytocomplexes) to ensure their survival and spread. Being rooted, they cannot fight or run away from dangers like animals do, and due to this limiting situation, each plant species has evolved and developed, for millions of years, a very unique mechanism to defend itself from diverse dangers and threats (animals, microorganisms, climatic adversities, etc.). So why not take advantage of this natural and wise way of functioning? Vytrus has discovered how to take advantage of all this astonishing potential. Plant stem cells contain and produce large quantities secondary metabolites and proactive essential substances such us amino acids, lipids, carbohydrates, vitamins, minerals, antioxidants and growth factors among others. 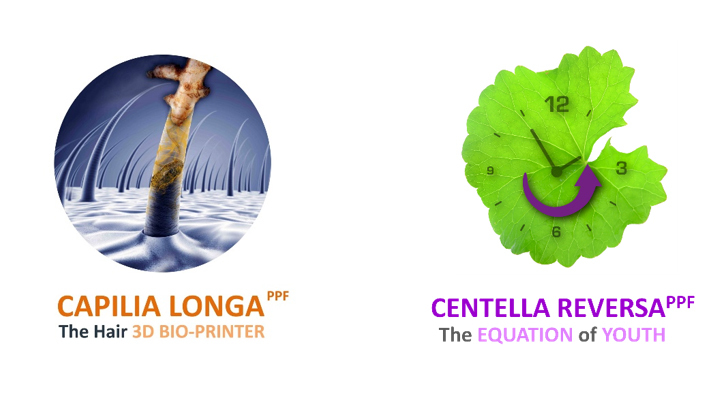 PRCF represents a new range of products that arises from Vytrus’ Plant Cell Biofactories (PCB) Technology Platform. 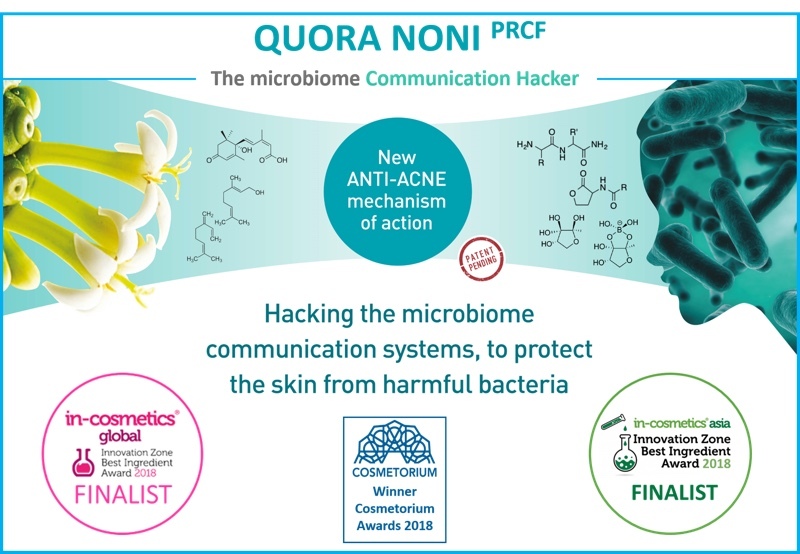 This technology is based in a driven development process that is designed to enrich the cell culture in several fractions of active molecules in sync (the metabolome), targeting the molecular synergy phenomenon. 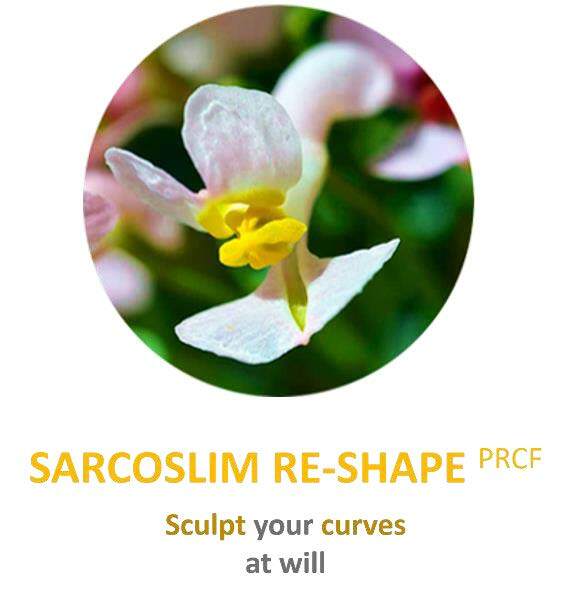 PRCF is the Company’s innovative approach to the phenomenon and proprietary concept of Molecular Synergy: the new way to take advantage of the real power of plants. 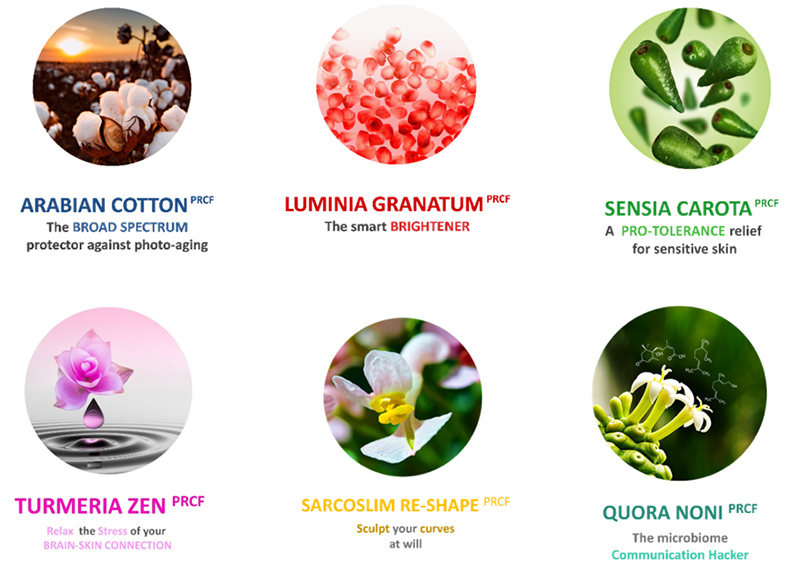 Phyto-Peptidic Fractions represent the first generation of genuine plant peptides, a revolutionary discovery that opens the door to a new generation of cosmetics. 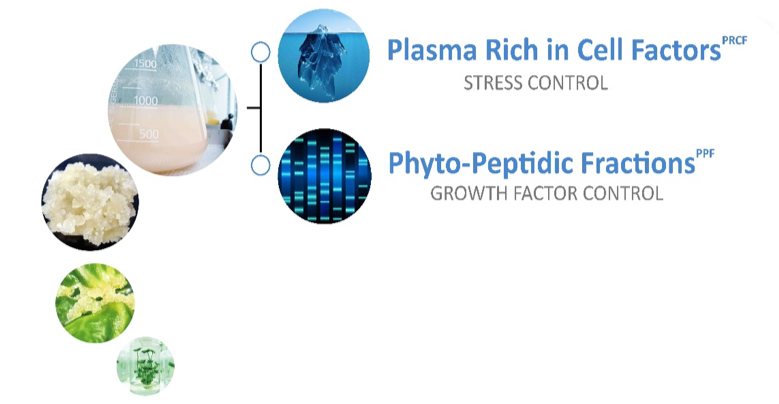 Vytrus Biotech, through a driven Growth Factor Control development process has been able to identify, produce and concentrate these Phyto-Peptidic. Fractions from an optimised culture of totipotent cells. 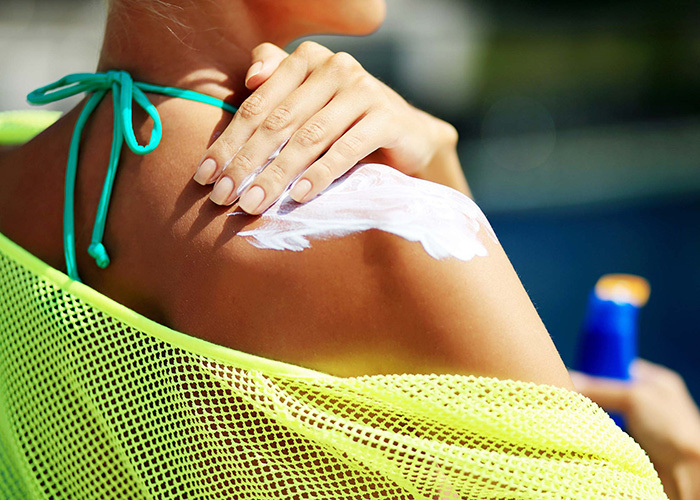 These PPF are the ultimate responsible of the extremely high regenerative properties of totipotent cells and, for the first time, this astonishing potential can be used in cosmetics. That makes of Phyto-Peptidic Fractions the first cosmetic active of this category able to maintain the skin regenerative potential.